Doug is a native of Jacksonville and grew up on the water boating and fishing. Doug has received comprehensive product training on epoxy and polyurethane coatings in the yacht market and is Alexseal Certified. He attended Frank H. Peterson Academies of Technology where he received hands-on training for fiberglass, polyester, epoxy, body work, paint prep and sanding work. 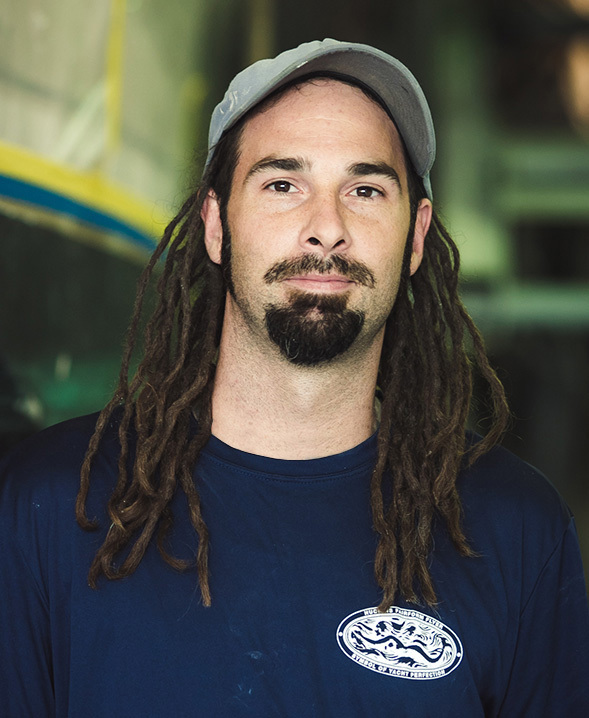 As a 10 year veteran of Huckins he has proven his excellent skillset in the paint field and he has earned his spot in management as our current paint foreman. In addition to being a natural leader he is passionate about his work and enjoys expressing his artistic talents through airbrush design. He has given Huckins a new dimension in the paint department. Have your boat waxed every six months to prevent your boat from fading, chalking or hazing from constant sun exposure.